The “Valley Beyond the City” has been awarded with an Honorable Mention in the Architectural Competition for the Urban Development of the National Agricultural Research Foundation (NAGREF). 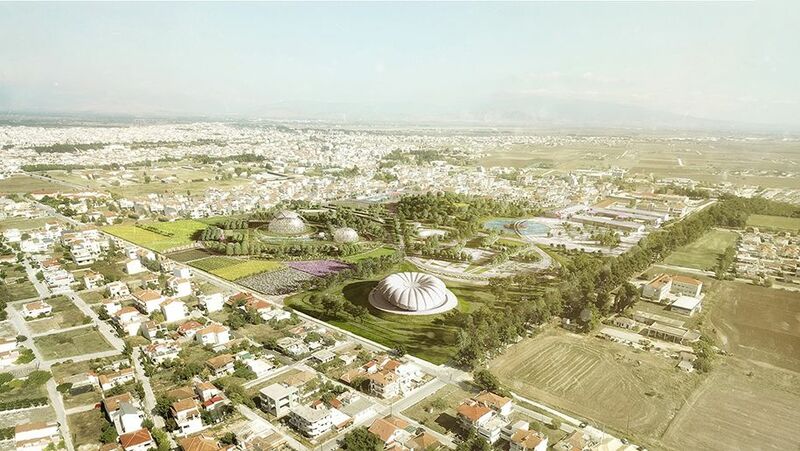 The proposed green park in Larissa, in the area of the National Agricultural Research Foundation (NAGREF), occupies an area of 217,000 sqm and it will be the largest and most important planned green area in Thessaly. 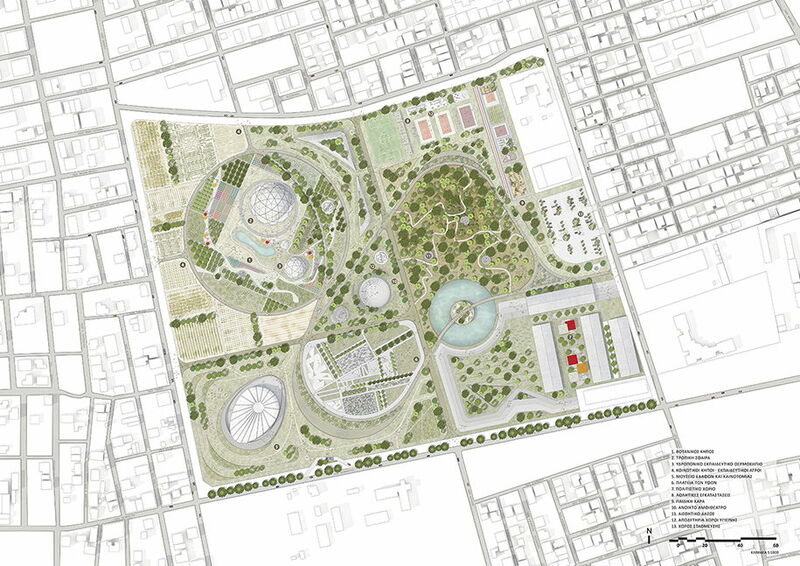 The former site of NAGREG will be an open park that will invite and welcome all visitors. 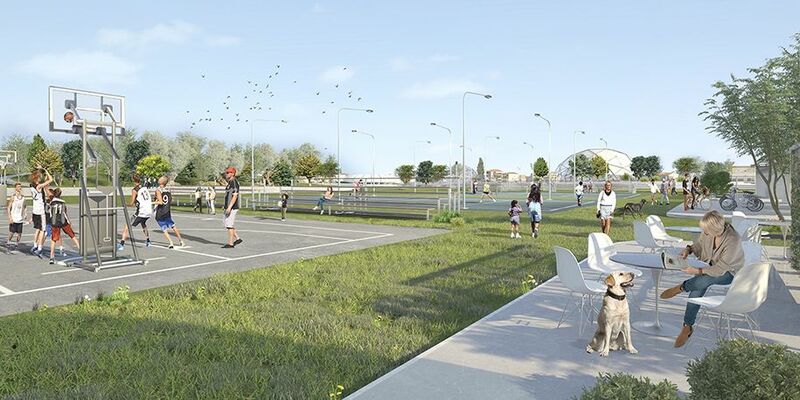 Its connection with both the neighborhoods and the rest of the city will ensure its integration not only with the daily routes of the residents but also it will be the first visitor’s choices from all over the city as well as for tourists. 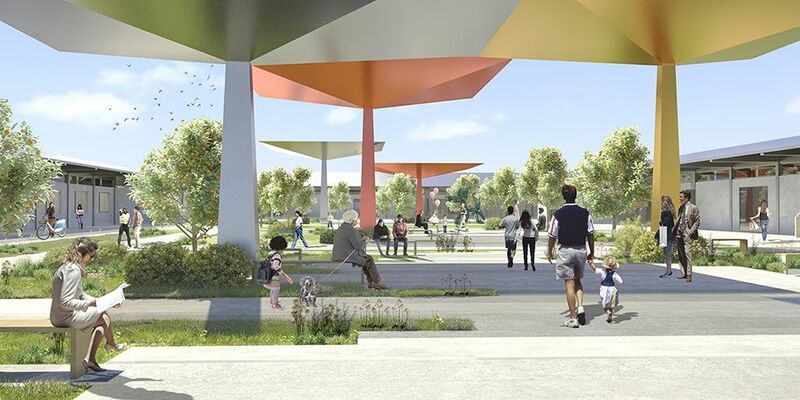 The program aims to create an important free-Urban Green area for the city, within which a Rural Innovation Center will be is located. 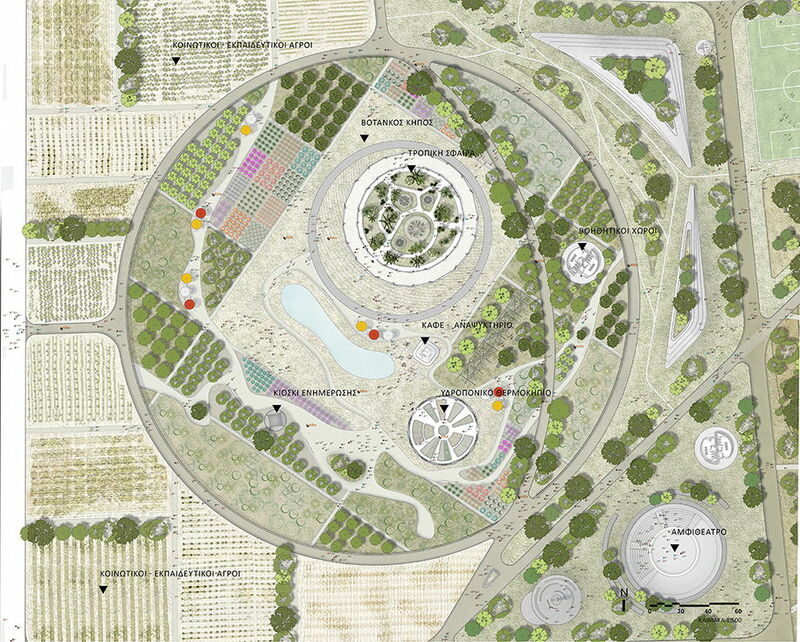 Within the park the visitors may visit an innovative Soil – Agricultural Technology Museum, a Botanical Garden, co-living and co-working spaces for artist and other Environmental Awareness Facilities. 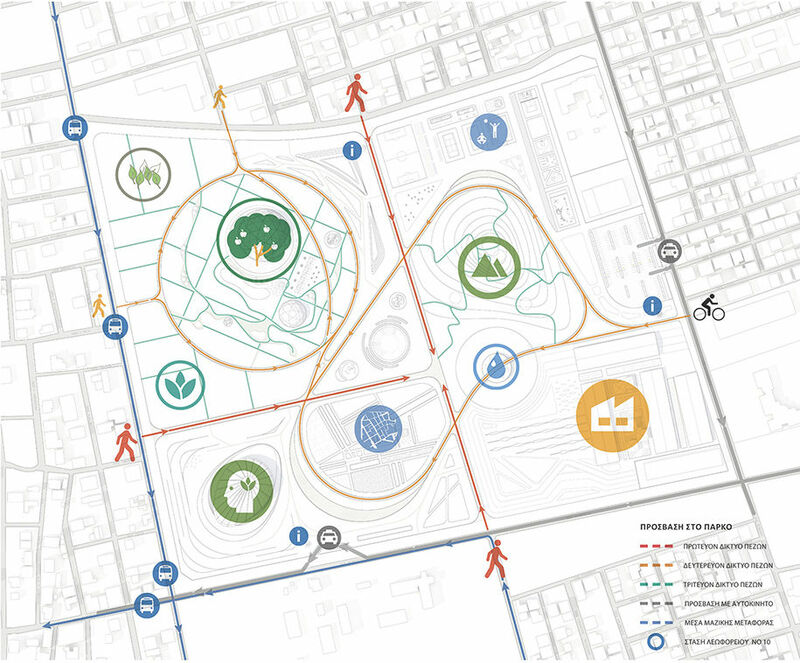 The scheme responds to a broader vision to create a new center, while functioning as a unique opportunity to set new benchmarks for master planning and a future city expansion. 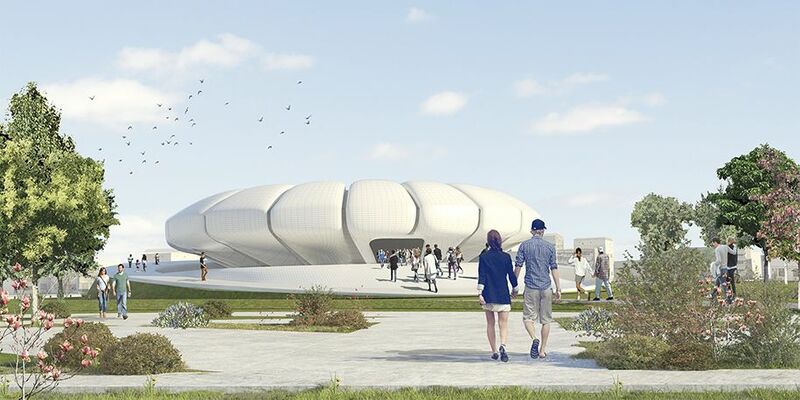 It will be a one-of-a-kind destination attracting people from across the Greece for its focus on innovation combined with a unique ecological approach. Design social spaces that adapt to the human scale. At the heart of our design is a passionate desire to design for people, deliver human-centered neighborhoods and promote pedestrian oriented strategies that minimize the conflict between people and cars. 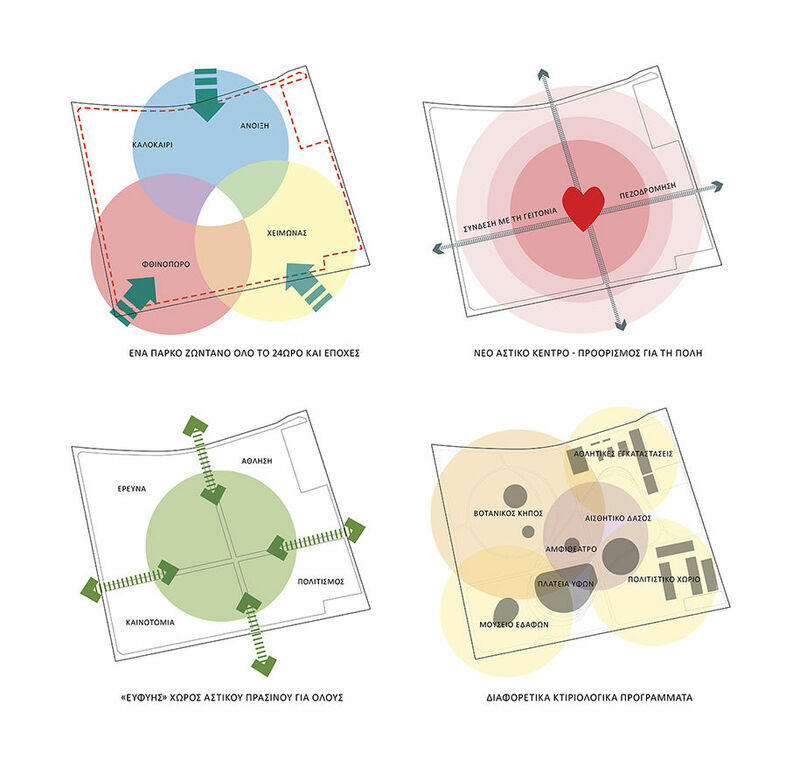 Flexible public spaces with a hierarchy of sizes are offering a variety of activities that foster human interaction and innovation. At the beginning of the design process we created spaces that make a sustainable vision for urban life. In this context, our design addresses environmental challenges putting human comfort and wellbeing as a top priority. Animated with 24h live, work, play atmosphere. A successful place needs to remain fresh and interesting. Diverse and changing programming can ensure that it caters to a wide range of people, and is active both night and day, and during different seasons. In order to respond to natural fluctuations as well the diverse mix of people and changing tastes, flexibility needs to be built in. In order to mix and match all our design principals we created a ‘’Loupe of Experiences’’ that allows visitor to explore the theme areas of the park. The idea behind the new landscape seeks to embrace the individual regions, to give the sense of diffusion of space into the other by using curves, interesting paths and material changes. The curved paths result in a total alteration of the scenery, in the eyes of the visitor, and often reserve surprises. The planting of the park is rich, with the scents of the Mediterranean vegetation. 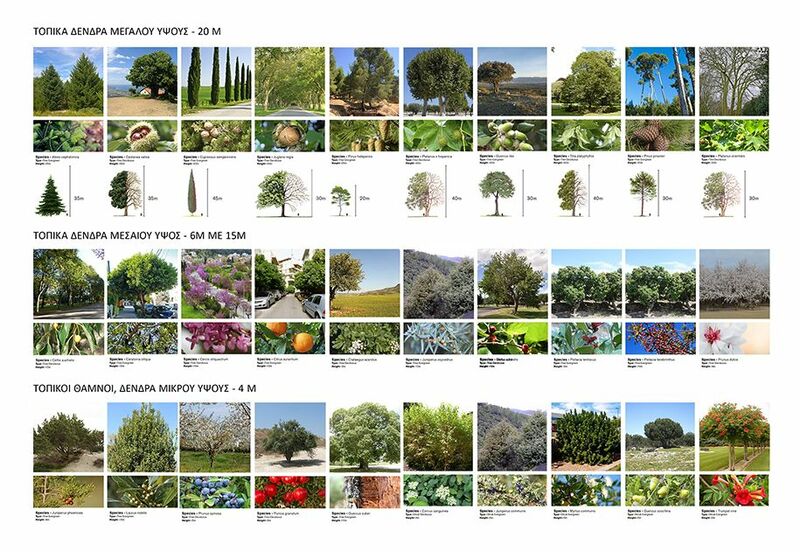 The aim is to create a vegetation mosaic of trees and shrubs from Kissavos. Pine, fir and other conifers in pure clusters or in mixing with cypress and broad-leaved species such as judas tree, carob tree and oak tree. The mosaic completes sections with poplars, willows and plane trees. See Also: K House by norm Architects here!